Memorial services are scheduled for 11 a.m. Saturday, June 18, at the University of New Mexico Alumni Memorial Chapel on the UNM campus for Dr. James Fredrick Hopper. All are welcome to attend and celebrate his life. Hopper, 66, passed away June 8, 2016, in Moriarty. He was born Jan. 26, 1950, in Albuquerque to Robert and Ollie Mae Hopper. He graduated from UNM in 1972 with a Bachelor of Science in Biology and received his Doctor of Medicine in 1977 from the UNM School of Medicine. As one of the top graduates in medical school, Doc Hopper was named to Alpha Omega Alpha, the national medical school honor society. He served as chief resident during his surgical residency at Tulane University in 1982, and he was a fellow of the American College of Surgeons. In 1984, Hopper moved to Ruidoso to start his medical practice. In 1988, he relocated to Artesia, where he served as chief of staff at Artesia General Hospital while also maintaining a private practice. Later in life, Hopper worked as a drug and alcohol rehabilitation counselor for various clinics in Prescott, Ariz., sharing his personal story of struggle and continuing to save the lives of many in a new capacity. 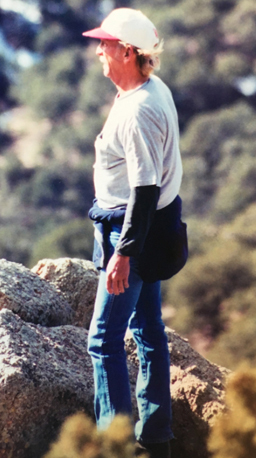 Dr. Hopper was fueled by an extraordinary passion for the patients he served, his family, and the natural beauty he found in the wilderness of New Mexico. Survivors include his mother, Ollie Mae Hopper, of Albuquerque; children Lauren DaCruz and husband Dominique of Monterey, Calif., James Hopper Jr. and wife Chandler of Nashville, Tenn., William Hopper of San Antonio, Texas, and Robert Hopper and wife Natalie of Richardson, Texas; granddaughters Ana Martine, Ines and Estelle DaCruz of Monterey; and siblings Robert Hopper Jr. and wife Barbara of Scottsdale, Ariz., and Clarinda Shook and husband Sam of Moriarty. He was preceded in death by his father, Robert Hopper, of Albuquerque. The family suggests contributions to help preserve the memory of Dr. Hopper be made to Hopper’s son, James Hopper Jr., 1352 Crown Point Place, Nashville, TN, 37211. Arrangements are under the direction of New Mexico Mortuary Services Crematory of Albuquerque.